Qorvo has announced an expanded portfolio of 802.11ax products for Wi-Fi gateways, set-top boxes, routers and enterprise access points. The high-efficiency portfolio of integrated modules and advanced filters improves Wi-Fi coverage, enables smaller end products, and reduces costs for consumers, service providers and manufacturers. Qorvo’s advanced solutions are designed to help customers maximize Wi-Fi capacity and data rates with 802.11ax, while reducing costs. For manufacturers of high-performance Wi-Fi equipment, thermal issues can create significant design delays and additional expense due to the need to add heat sinks and fans. High-efficiency components reduce the need for thermal management, helping customers design smaller, more attractive products without internal fans. Qorvo’s bulk acoustic wave (BAW) filters allow full power output across all Wi-Fi channels, helping consumers receive reliable Wi-Fi service through the entire home. This helps to cut support costs and increase consumer satisfaction. About 40% of all operator service calls relate to poor Wi-Fi performance in the home. With improved coverage, operators can reduce expensive truck rolls and service calls, which cost an average of $15-$35 in addition to any repeater/extender hardware required. Every operator is trying to get rid of Wi-Fi dead spots in the home and eliminate the associated customer care and helpdesk costs. Any technology that can help achieve this will be well received in the market. Qorvo’s BAW filter technology is one such technology. 802.11ax will greatly increase network capacity by supporting up to eight simultaneous data streams, each delivering up to 1.2 Gbps, to connect many more devices at greater speeds. Qorvo’s broad 802.11ax portfolio includes 2.4GHz and 5GHz front-end modules (FEMs) and BAW filters. 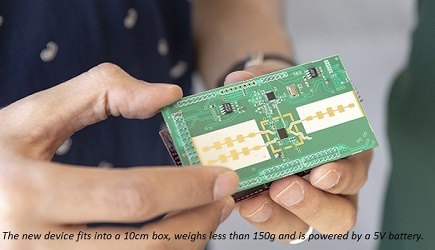 The portfolio’s high energy-efficiency FEMs reduce the thermal issues associated with supporting multiple-input multiple-output (MIMO) in Wi-Fi equipment, allowing manufacturers to reduce product size and cost. Qorvo’s BAW bandedge and coexistence filters improve Wi-Fi quality of service and prevent interference with adjacent LTE frequencies. Click here to see Qorvo's complete 802.11ax product portfolio. Learn more about how 802.11 ax Technology.